How do you stack up? Is your organization offering a competitive salary package for potential hires? URISA's GIS Salary Survey is an ideal resource for both job seekers and for those who hire GIS staff. As in the past, an Executive Summary is available below for FREE and a comprehensive analysis of the results is available for purchase. How have salary levels changed over the years? Have GIS departments increased in size? What non-technical skills are required? What GIS software proficiencies are necessary? What benefits do organizations typically offer? How frequently do GIS professionals change jobs and are job changes within the same sector? How long is the average workweek? How has GIS certification impacted salaries? Are GIS professionals actively pursuing continuing education? 2017 URISA GIS Salary Survey Executive Summary: This document is a preview of the 2017 URISA GIS Salary Survey, and includes valuable summary data from the survey results. The full electronic publication is nearly 600 pages long and includes an abundance of detailed tabular data and extensive cross-tabulations. The survey is based on 3,060 respondents who are employed full-time. 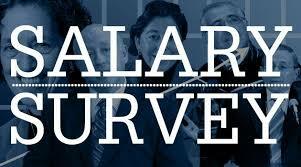 The average salary of survey respondents was $70,857 - an increase of 15% over the 2010 average of $61,540. GISPs, on average, earned $10,000 more than non-GISPs. A majority (57.7%) of respondents are employed within some level of government, from local to federal agencies. Most receive additional forms of compensation including health insurance, paid conference attendance, life insurance, paid training, pension/retirement plans and 401(s) plans. They spend an average of 70.8% of their time performing geospatial tasks and work an average of 41.6 hours per week. The minimum level of education required for their position is a Bachelor's degree. They have an average of 13.5 years of professional experience and have been in their current position for an average of 6.8 years. Less than half (42.5%) were GISPs. Two-thirds were male and the average age of respondents was 40.5 years. Most (90.4%) respondents were from the U.S. with the greatest concentration from the South Atlantic, Pacific, Mountain and West South Central regions. For an Executive Summary of the 2011 Salary Survey results, click here.